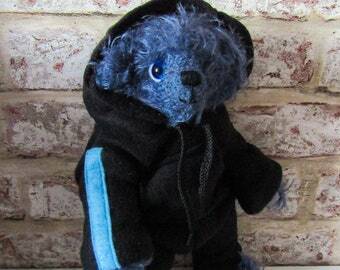 I am a Member of "The Guild of Master Bear Crafter's"
Announcement Hello, and welcome to my Etsy shop. I have been featured in April/May's Edition of the World Famous Artist Bear Collector Magazine "The Teddy Bear Time's" and I am a Member of "The Guild of Master Bear Crafters" . My name is Suzanne and I am from Kingston Upon Hull which I am very proud to say is currently the City of Culture 2017. 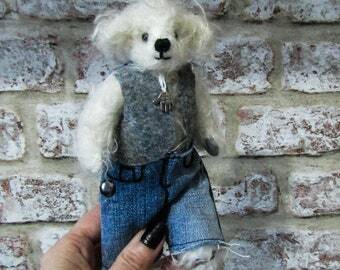 A few years ago, for a new hobby I decided I wanted to learn how to make teddy bear's and so now I absolutely Love to Create 'One of a Kind', One Off; 1 of 1,Adult Collector Mohair Artist Teddy Bear's. 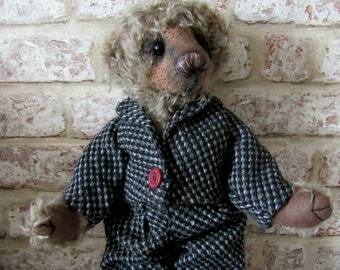 I do Not' make Teddy Bear's that are Suitable for Children, under 14 Year's, Only Adult Collector's as mine contain contain Glass, Metal, Wood and other parts that are Not' suitable for children. I have made them from 5" to 3 ft tall. 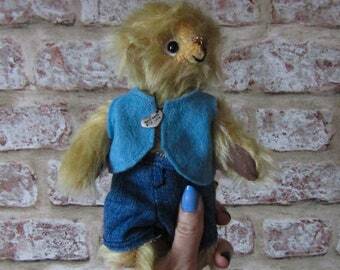 When I am creating a Mohair Artist Bear, or whatever other fabric I may be using; I sew all pieces by hand first using extra strong thread and then by machine and my seams will not come open. I always use Genuine German Schulte Mohair. 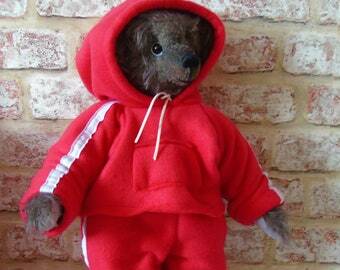 I create my own patterns and the bear is finished to a very high standard. Also, for my own record I have been taking photograph's of my bear's as they are being created from the Piece of Mohair to the finished teddy. I am a member of "The Guild of Master Bear Crafter's". I learned what I know about sewing as a little girl from my Mother, at School in Domestic Science, (my favourite lesson) and also from Books. I have lots of Books on Sewing, Needlework, Crafts, and Dressmaking. 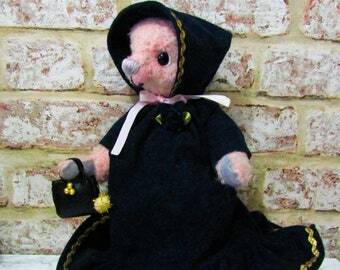 I make all Suits, Dresses and Hats if a Bear is dressed. I also love Embroidering, Applique and Leather Crafts. 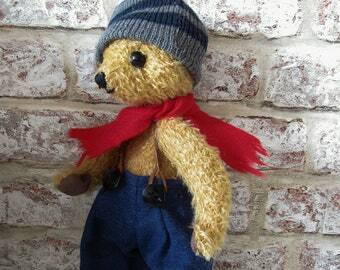 If you want something Unique' No-one else has one of to Treasure, then a One off Mohair Teddy Bear or piece of Jewellery could be just what you are looking for. You can keep them and hand them down the family as Heirloom's for Generations. I take all of my Photograph's in natural light without using a flash to get the truest colour's of the item. I am so Happy when one of my Bear's is Adopted by a Loving Collector who I know will Treasure and Look after Him or Her well. Please take a look at my shop as I have Made/Created everything that is in it for Sale alone. 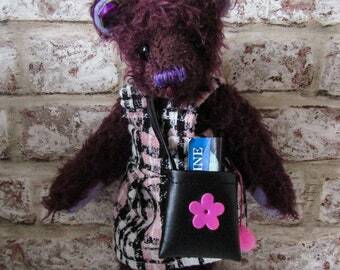 I AM MY OWN, Creative Director, Pattern Designer and Drawer, Artist Bear Designer and Creator, Writer, Editor, Stylist, Leather Crafter, Leather Bag and Fashion Bag Creator and Designer, Jewellery Designer, Jewellery Maker, Dressmaker, Tailor, Embroiderer, Shop Keeper and Photographer. I have kept my Postage Costs as Low as Possible for sending item's by Signed For Recorded Post which is a bit more expensive but this is for the Buyer's and My Own Piece of Mind. I have stated 3 to 5 days to give myself to Post but will post earlier where possible. I POST SOLD ITEM'S ONCE PAYMENT HAS BEEN RECEIVED AND CLEARED KEEP IMPECCABLE RECORDS ON FILE OF ALL ITEM'S SOLD, PROOF OF POSTAGE AND THE ADDRESS THE ITEM WENT TO, I HAVE A QUALIFICATION IN BUSINESS ACHIEVED AT HULL COLLEGE. WITH MY ITEM'S OF JEWELLERY I USED TO VISIT A JEWELER IN MY CITY TO CHECK THEY ARE WELL MADE AND MY FASTENINGS ARE SECURE AND THEY WERE SO I DON'T HAVE TO VISIT HER NOW, ALL OF THIS IS FOR MY OWN AND A BUYER'S PIECE OF MIND. Kingston Upon Hull, Yorkshire UK. Hello, and welcome to my Etsy shop. 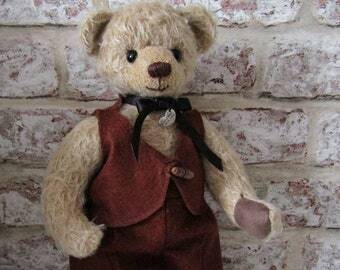 Great craftsmanship, professional transaction, real heirloom teddy bear to pass on from one generation to another. Love it, goes with everything.